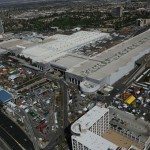 Attracting nearly 130,000 visitors, CONEXPO-CON/AGG is the USA’s largest exhibition for the construction industry and is held every 3 years. 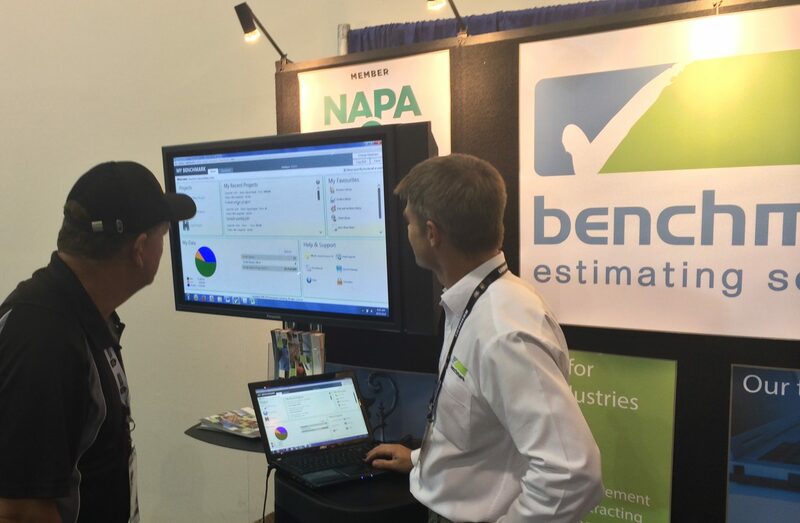 Exhibiting from a booth in the “IT & Construction Solutions” pavilion, Benchmark Estimating Software received a fantastic response with hundreds of contractors stopping by our stand. “Thank you to everyone who visited our booth. 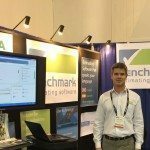 The response from the market was extremely positive and contractors especially liked the simplicity and flexibility of Benchmark Estimating Software coupled with the detailed estimating & bidding capability that Benchmark provides. 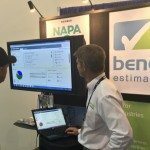 Showcasing our multi-lingual capacity and suitability to companies across the globe, Benchmark Estimating also attracted visitors from the USA, Canada, France, Russia, Brazil, Australia and New Zealand. 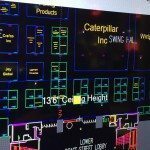 The show also provided a great opportunity to catch up with our existing partners Viewpoint Construction Software and On-Center Software. We also met with potential new partners to discuss further integration opportunities to benefit our growing customer base, and also attracted a lot of interest from potential Resellers in the USA and South America. Our attendance at CONEXPO also gave us priority selection for our stand at the 2015 World of Asphalt exhibition. 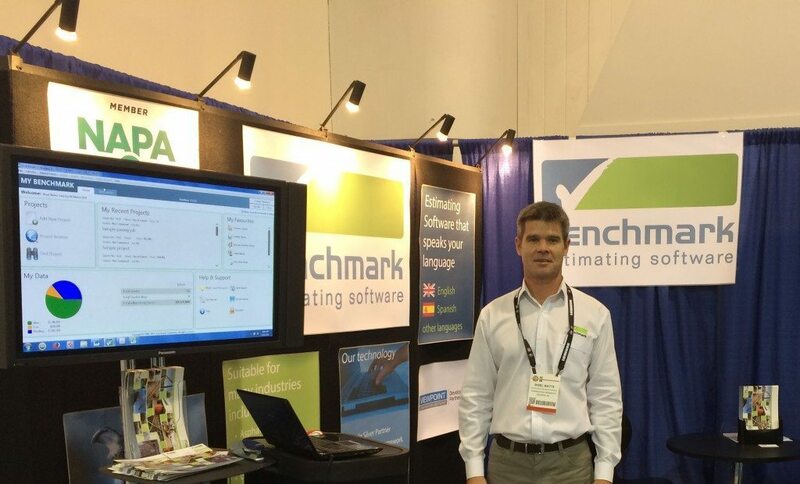 The photo below shows the Benchmark Estimating Software stand (highlighted in yellow) for the World of Asphalt 2015. Visit our events page for more details on the show. 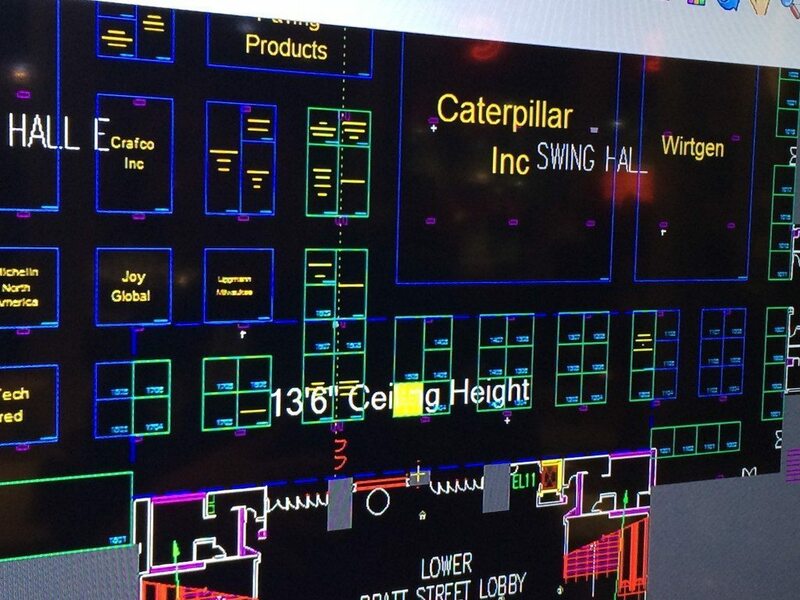 Thank you also to all the staff from CONEXPO and the associated entities who organised such a great exhibition. It was a resounding success and we look forward to attending again in 3 years time. 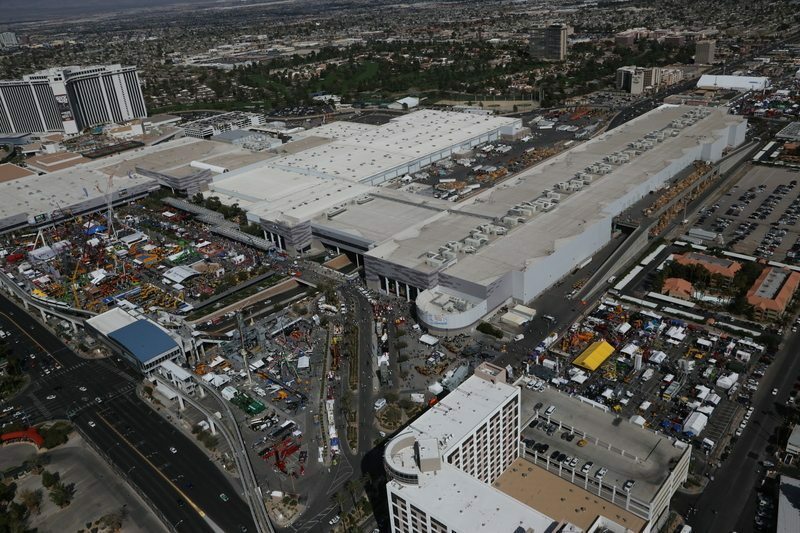 For more information on CONEXPO visit www.conexpoconagg.com.